Located in various locations across campus, Code Blue Telephones allow you to speak with Campus Police at the push of a button. Simultaneously, this activation will automatically activate a flashing blue light. 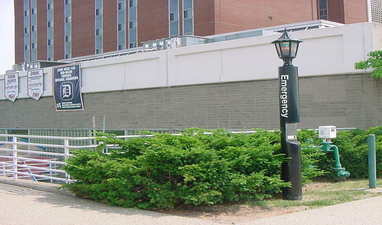 Immediately after establishing the connection with the Campus Police, the phone will send a signal indicating to them the location of the activated station. Once the system is activated it allows you to have hands free communication directly with the Campus Police. View the locations of the Code Blue Telephones on the Campus Map.